This one will be one for the history books! 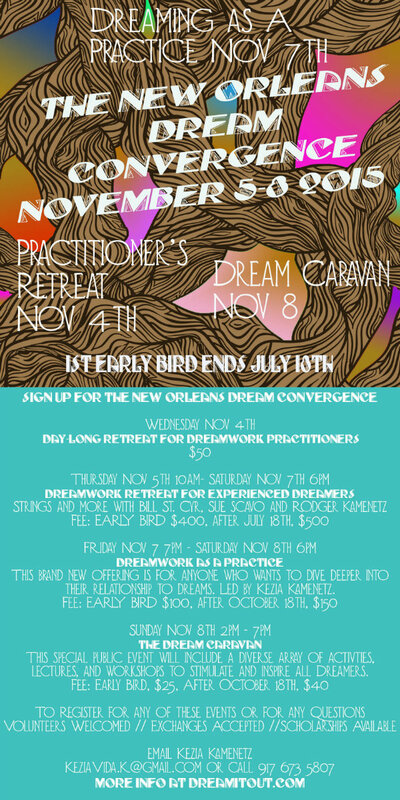 We are beyond excited to invite you to the 1st annual New Orleans Dream Convergence. We’ve developed a set of events that we hope will be a starting point for a new phase in our collective dreamwork journey and we sincerely hope that any and all dreamers out there will consider joining us for this auspicious weekend. Four unique events for are offered for dreamers of all levels and interests. Pick and choose what’s best for you or attend everything! Below is all the info you need to get signed up. Ticket Info: The Practitioner’s Retreat is a flat $50 fee. Anyone who registers for the Weekend Intensives receives a complimentary ticket to the Dream Caravan. For individuals who work with dreamwork clients in a 1 on 1 setting or those who would like to. A day long pow-wow including best practices, networking tips, and more. Led by Sue Scavo, Bill St. Cyr, and Rodger Kamenetz, an in-depth look at your dream journey through the group string process. SPOTS FILLING UP FAST, EARLY BIRD ENDS JULY 18th! 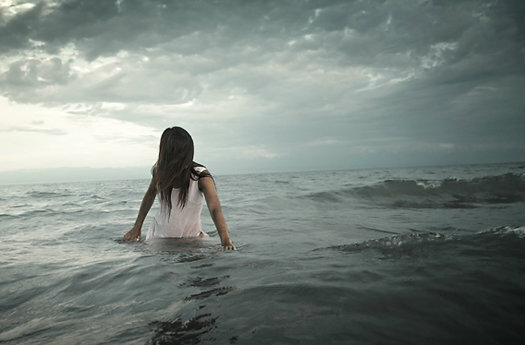 Dreamwork as a Practice — Perfect for loved ones interested in learning more about dreams! This in-depth introduction to Dreamwork offers curious dreamers a path to build a relationship with their dreams and will provide hands-on tools to begin a dream journey. 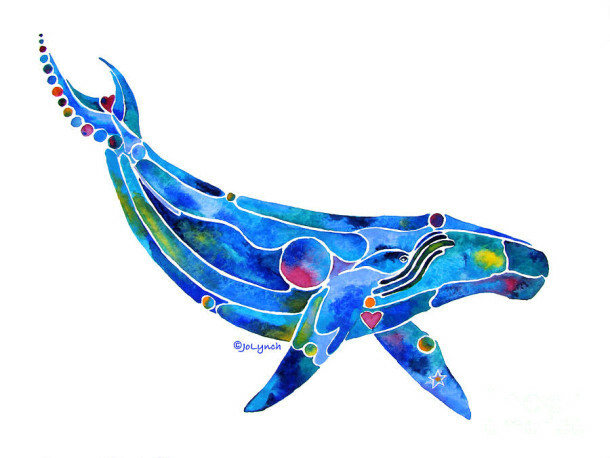 A day-long celebration and exploration of dreams and their intersections with a variety of modalities including art, culture, and other healing practices. The Dream Caravan is still in a planning process so please don’t hesitate to get in touch if you’d like to get involved. More events will be posted as they are planned. The retreats will take place at a beautiful Uptown mansion steps from the legendary St. Charles Streetcar line near the intersection at Napoleon Ave. A few more sleeping spaces are available at the main retreat center, and where you can expect individual beds in shared rooms (2 beds per room, individual rooms for couples). You are also welcome to find your own lodging in the New Orleans area. A list of alternative housing options will become available in the coming weeks. The cost is $300 to stay at the retreat house Thursday, Friday, and Sunday night. REGISTER TODAY to secure your room. Food will be on your own, with light breakfast options and snacks available in-house. The main retreat center is within walking distance to numerous delicious food options at a range of price points, as well as within 1 mile of a grocery store. At least one collective dinner will also be planned. To REGISTER or to have any and all of your questions answered, fill out the form below, or email Kezia at KeziaVida.K@gmail.com & send get info about sending your deposit. PayPal, Chase QuickPay, Venmo, Square, and Google Wallet. So looking forward to seeing you in NEW ORLEANS!